Carol Ann Modesitt, Professor, is an experienced soloist with opera, musical theatre, and recital credits nationwide as well as performances internationally. Her solo debut at Carnegie Hall was in March of 2002 as she toured throughout the United States. She served as interim chair of the music department, 2005-2006, is currently head of the voice area, and the opera/musical theatre director. Professor Modesitt has directed over 40 different productions at Southern Utah University including Hansel and Gretel, La Bohème, Carmen, Marriage of Figaro, and Susannah by Carlisle Floyd, Too Many Soprano, Die Zauberflöte, Don Giovanni and most recently Little Women by Mark Adamo. The opera program which she directs has been recognized on the national level several times in juried competition. Over the last thirty-five years her students have won over 200 awards in competition on the state, regional, and national levels, and many are performing nationally and internationally. In addition many of her students are teaching on the university and secondary levels. Previously, Professor Modesitt was Artist-in-Residence at Plymouth State University in New Hampshire for three years. She was the featured soloist with the Pemigewasset Choral Society in its 1993 tour of Scotland and the guest soloist with the New Hampshire Friendship Chorus during its 1996 South American tour. With numerous competitions to her credit, she was a regional finalist in the Carnegie International Competition in San Francisco (1987). Ms. Modesitt has also taught at the University of Colorado, Iowa State University, Duquesne University, Utah State University and Seton Hill University. She holds degrees from Eastern Kentucky University and Utah State University. She has studied extensively with Betty Jeanne Chipman in Salt Lake City, with Vera Rozsa in London, England, and with Martin Isepp, former Music Director of the Glyndebourne Opera in England. She is Treasurer of the National Opera Association, past President of the Las Vegas Chapter of the National Association of Teachers of Singing, and Co-President of Cedar City Music Arts. 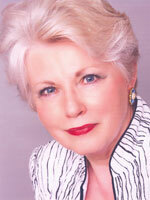 She is also the Cal-Western Regional Governor of the National Opera Association and is a member of the NOA board.